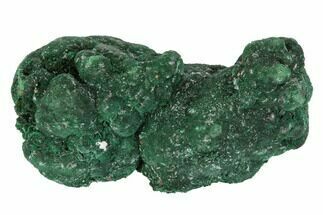 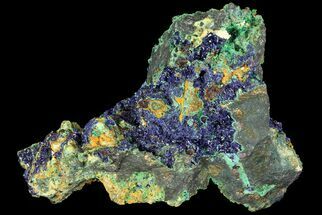 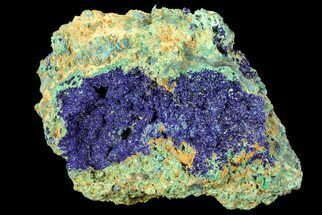 This specimen features vibrant aggregations of azurite and fibrous malachite on matrix. 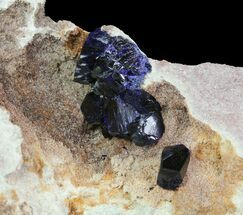 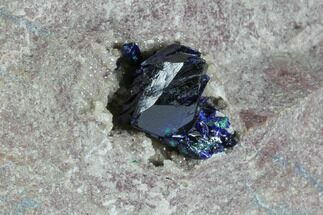 These crystals, including one small fluorite crystal, formed from a galena-rich matrix. 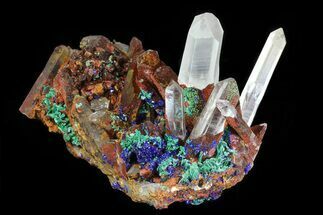 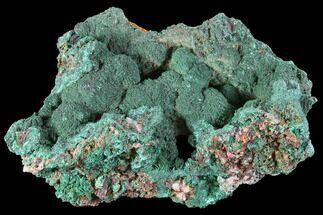 These minerals tend to be found near copper deposits, which accounts for the colors the minerals display. 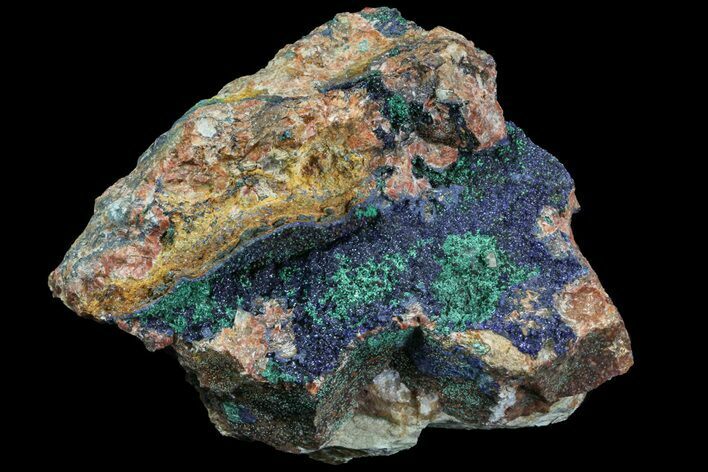 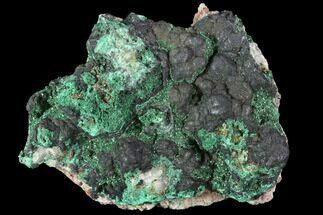 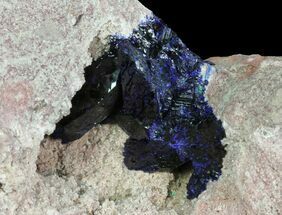 This association of azurite and malachite on copper rich, iron oxide matrix was found near M'Cissi, Alnif, Tinghir Province, Souss-Massa-Draâ Region, Morocco.